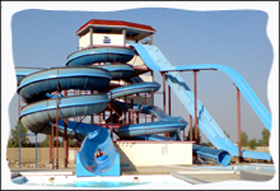 Note: Click on the Photos to have a Beautiful Different Dimensional views of that particular slide or swimming pool. 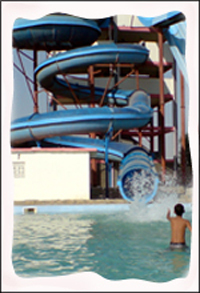 We have two entrances, one at front side and the other one is at back side of Cosy Water Park both have seperate parking areas. 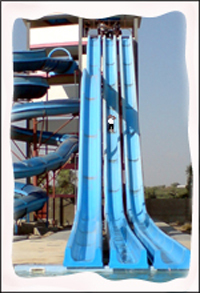 A dizzy slide that zips you down 65ft. (250 ft. away) into shallow sparking pool of water. It even dips in the centre to make your heart leap into your mouth. 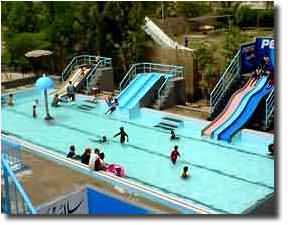 A Seperate water park only for ladies with complete privacy. 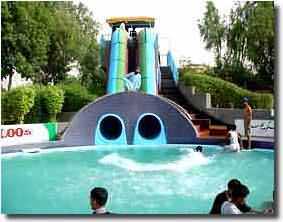 Here you will find Largest Ladies Slides and Pool in the whole world, with Water Swing and Rain Drops. 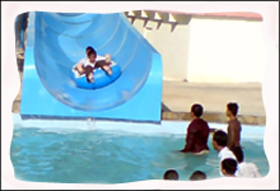 Now be ready to enjoy the exciting new looking slide at Cosy Water Park. Just not a hole of mystery, but while of excitement. 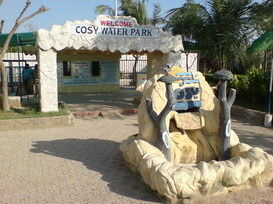 Cosy Water Park also has an additional Kiddies Corner with Mini Slide, Rain Drops, Swing and See-Saw. Ups and Down Side by Side. 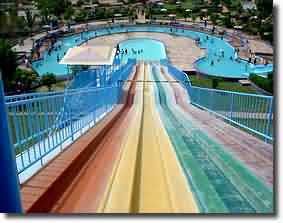 This is our family Jumbo Slide. Specially constructed 2 acre lake for boating amidst serene scenic surroundings. 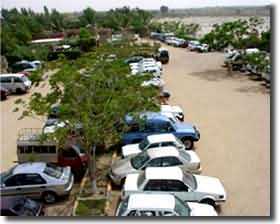 We have enough space for parking your vehicles. A lush green grass and fantastic scenic surrounding. 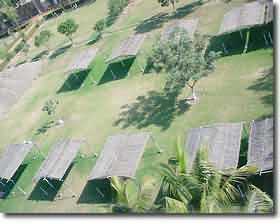 More than 100 shades and huts in Cosy Water Park. For the Guys with Guts, feel the real speed and slow down with bump. 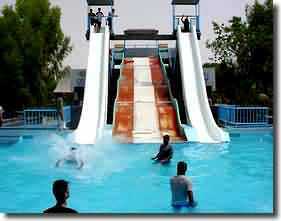 Always have thirst of Tube slide, its here now wnjoy with your Partner at Back seat.